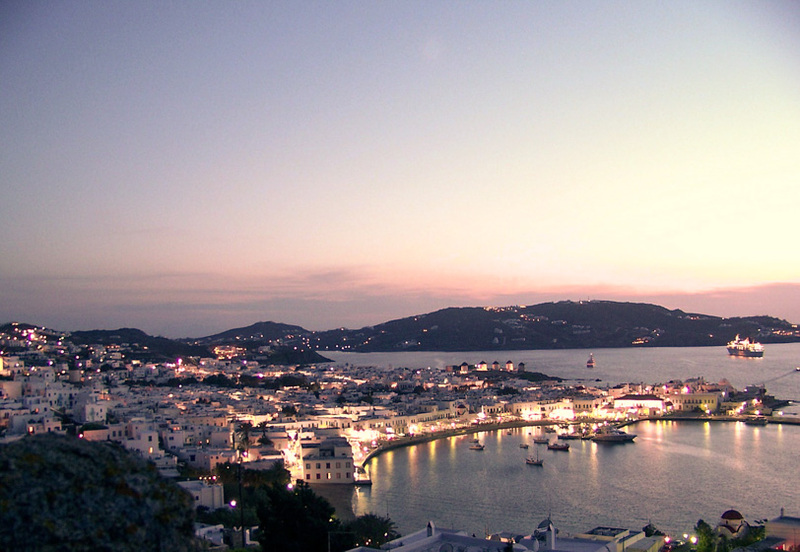 Mykonos is part of the Cycladic islands and just a short flight or ferry ride from Athens. It’s known as the infamous Greek party- hard island, and trust me when I say the party scene definitely does not disappoint. But there are many things to do for everyone’s interests. You might just fall in love too! 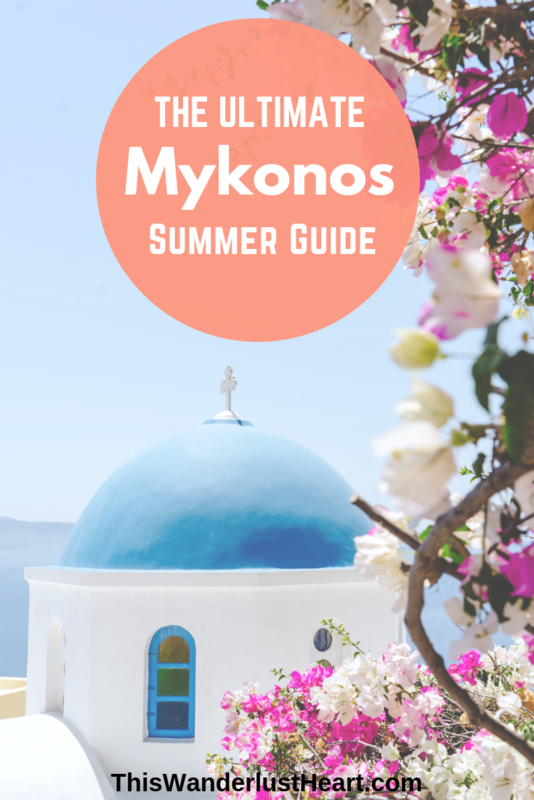 Wondering what to do in Mykonos? 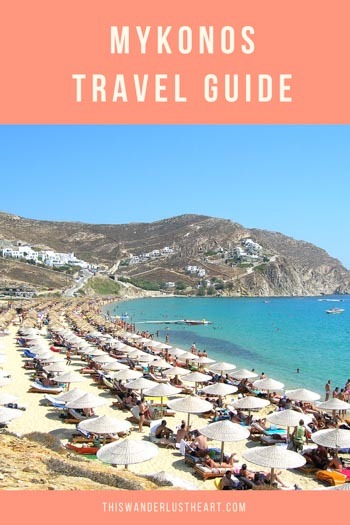 Keep reading for my list of Mykonos travel tips! 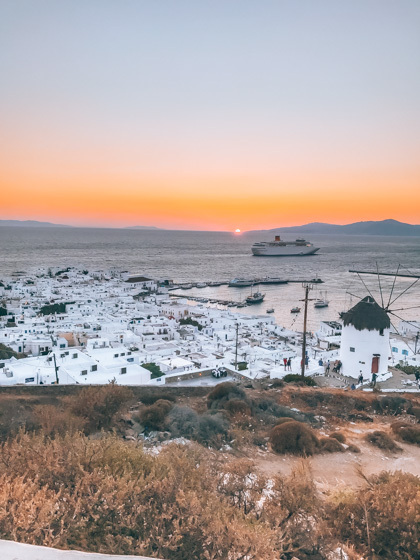 Little Venice is one of the landmarks of Mykonos so it’s fitting that it’s the first on the top 5 things to do in Mykonos. It’s a neighborhood with colorful houses built on the edge of the sea. 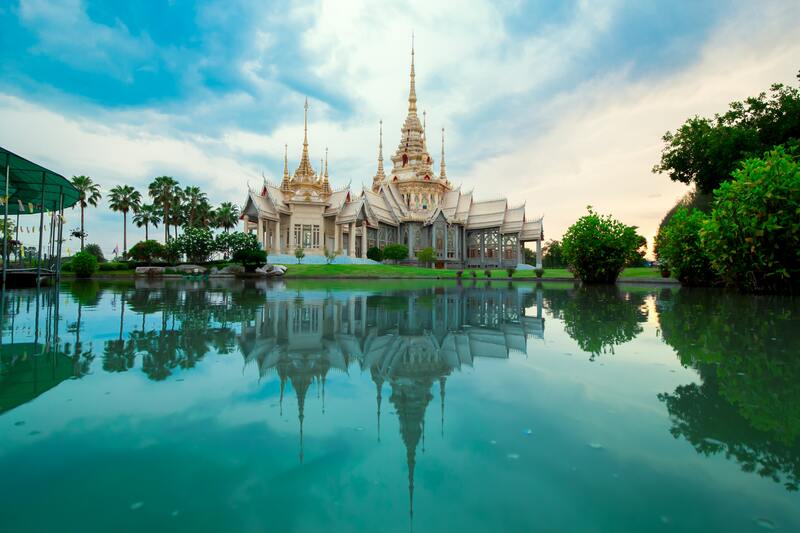 It took its name due to its resemblance to Venice in Italy. Walking through the alleyways and tiny streets of Mykonos town to Little Venice reveals surprise after surprise on each corner. This famous stretch of seaside restaurants and shops is a great spot for evening strolls at sunset and viewing the famous windmills. Be sure to catch dinner at a restaurant there for one of the most picturesque meals in Mykonos. 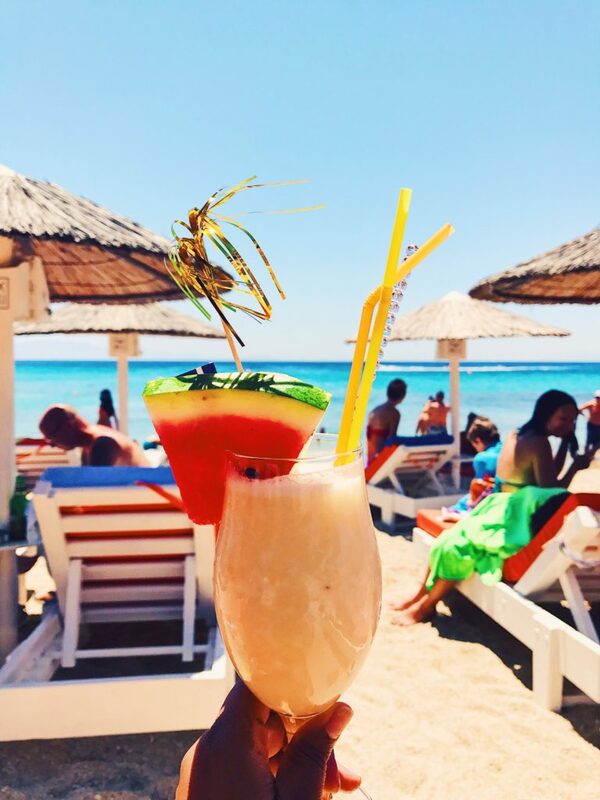 It’s also really great for people watching too so make sure it’s at the top of your Mykonos to do list. Need help finding a flight and hotel for Greece? 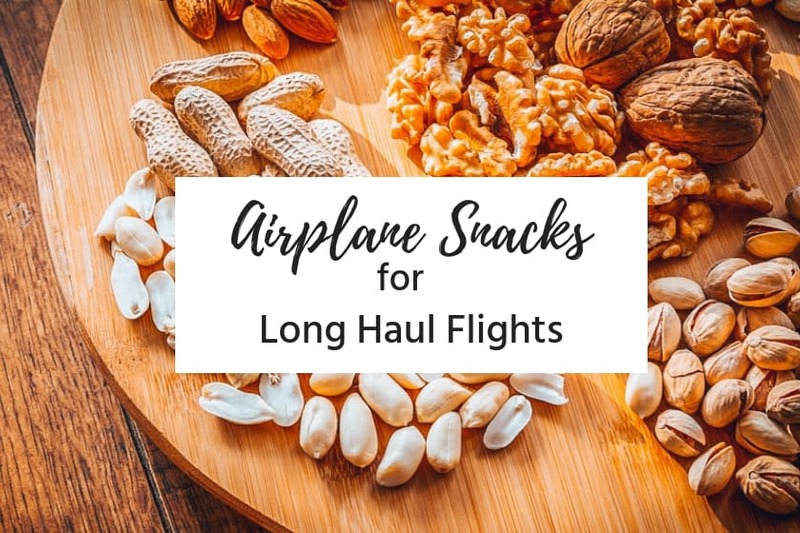 Definitely check out Airfarewatchdog for the cheapest airfare flight options and compare hotel prices here! ATVs or quad bikes is one of the coolest ways to get around the island and one of the most fun things to do in Mykonos. I spent an entire 2 days exploring the island on my own ATV rental. The rental process is very easy and affordable. You might be nervous to drive around but I felt completely safe both day and night. Cars are careful to give you enough room on the road. I think they’re just used to sharing the road with ATVs. It’s definitely a super fun experience and one of the best ways to see the island. Not to mention that Mykonos only has about 30 taxi cabs on the whole island. So if you don’t want to wait forever during peak times I really suggest renting an ATV or car. You’ll probably get lost exploring the island but this was actually the best part for me and most fun thing to do in Mykonos! This photo here is when I was driving to Mykonos Town and just had to pull over to capture this stunning sunset! Update: A recent law was passed in Greece requiring tourists from non-European Union countries to have an International Driving Permit along with their driver license from their home country in order to rent any kind of vehicles including ATVs. My hotel in Mykonos was in the charming little beach town of Platis Gialos. It could not be a more perfect picture. The area is lined with little stores and wonderful seafood restaurants right on the beach with tons of day beds to choose from. The beach there is calm and crystal clear. Super great for swimming! One of the coolest things about spending the day in Platis Gialos is how easy it is to get to other beaches. 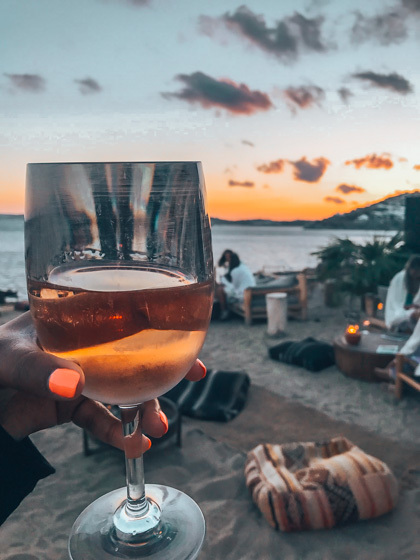 If you’re in the mood to beach hop, you can use their boat taxi service that allows you to ‘hop on’ and ‘hop off’ at some of the most popular and beautiful beaches in Mykonos. 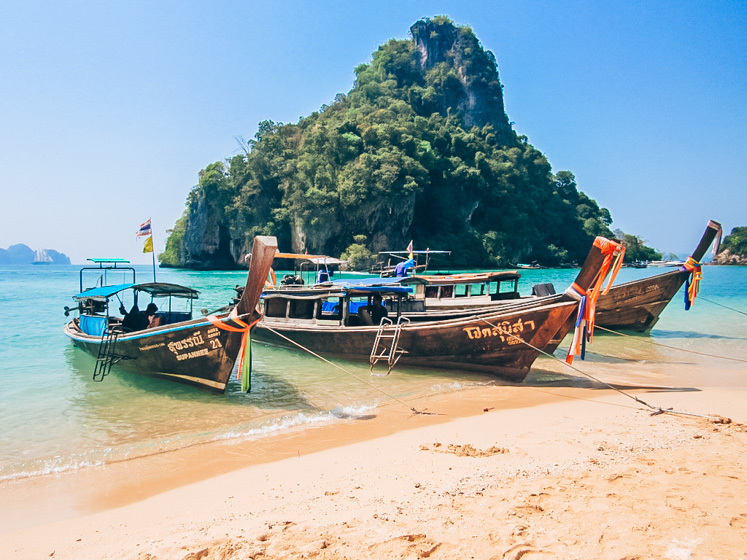 Boats depart every 20 minutes to Ornos, Paradise, Super Paradise, Paraga, Elia, and Agrari. There’s also Mykonos boat rentals as well. I was able to check out all the top 5 beaches in Mykonos within a few hours. If you’re a beach lover like myself then this one should be at the top of your list of stuff to do in Mykonos! Mykonos Town is quintessentially Greece and absolutely stunning! It’s easy to get lost among all the shops, cafes and restaurants, wandering through the maze of white buildings. And while it is quiet and picturesque during the day, Mykonos Town really comes alive at night. The atmosphere is incomparable. You’ll find tons of lively bars and clubs conveniently located all near each other. My favorite place there was Skandinavian Bar. I started the night having drinks at their bar downstairs and ended up in their club upstairs until 3 am in the morning dancing the night away. There’s a reason it’s one of the most beloved and popular night hangout spots on the island. I definitely vote this one of the best things to do in Mykonos at night. 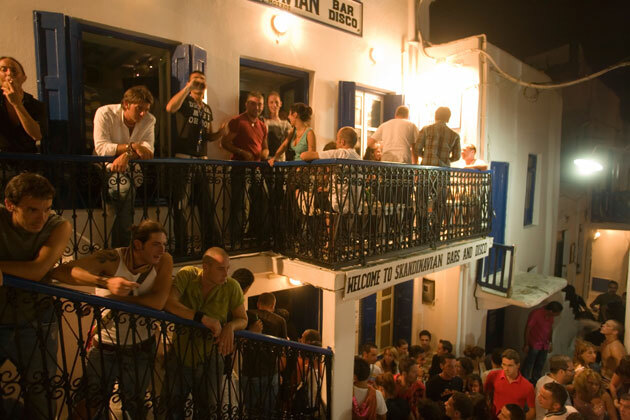 The crowds at Skandinavian Bar in Mykonos Town. Scorpios is the trendy, hot spot in Mykonos. I mean it’s super popular! Prior to traveling to Greece, about 5 people told me I had to check this place out and it definitely did not disappoint. 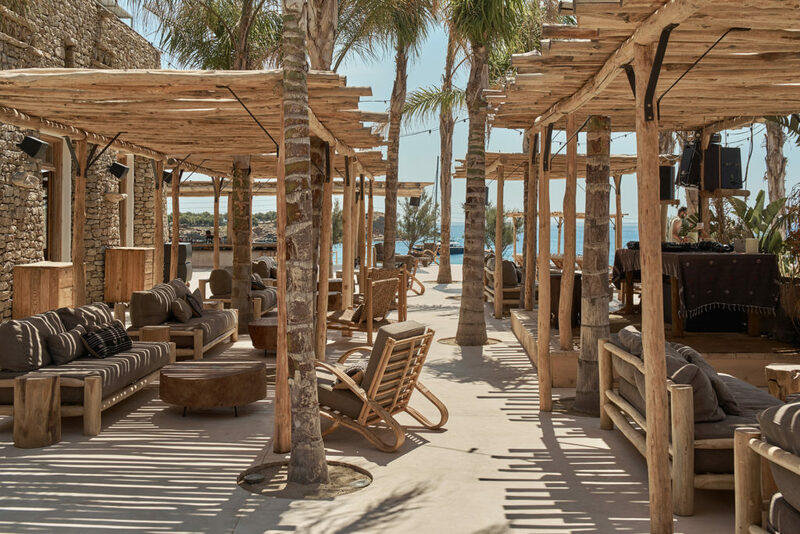 With rustic bohemian vibes and a chic decor, you’ll quickly understand why Scorpios is a must visit. I highly suggest making dinner reservations about two hours hour prior to sunset. You can have a delicious farm-to-table Mediterranean meal there. But be warned that the prices are very steep even by Mykonos standards. It’s one of those places where you’re actually paying for the view. After dinner, you can make your way to the tiered terrace to view an amazing sunset. Trust me when I say it’s unbelievably gorgeous and one of the most fun things to do in Mykonos! I guess you can probably tell by now that Mykonos has one of the best sunsets. You can also take in a breathtaking sunset from the water with a Mykonos Sunset Cruise. 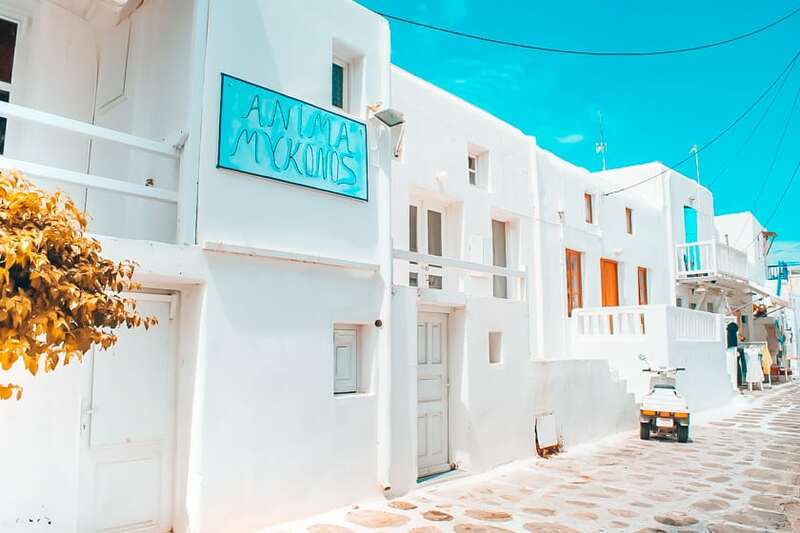 Suggested Reading: For more awesome things to do in Mykonos Greece, be sure to check out The Carry-on Chronicles’ 8 reasons to love Mykonos! 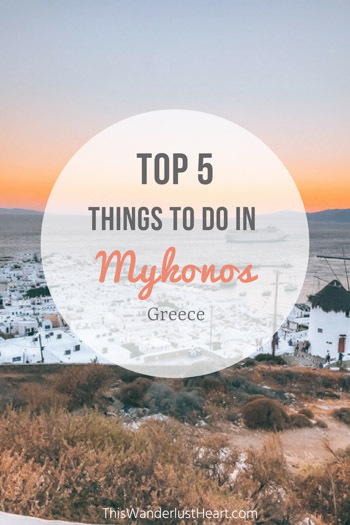 Did you find my list of top 5 things to do in Mykonos helpful? 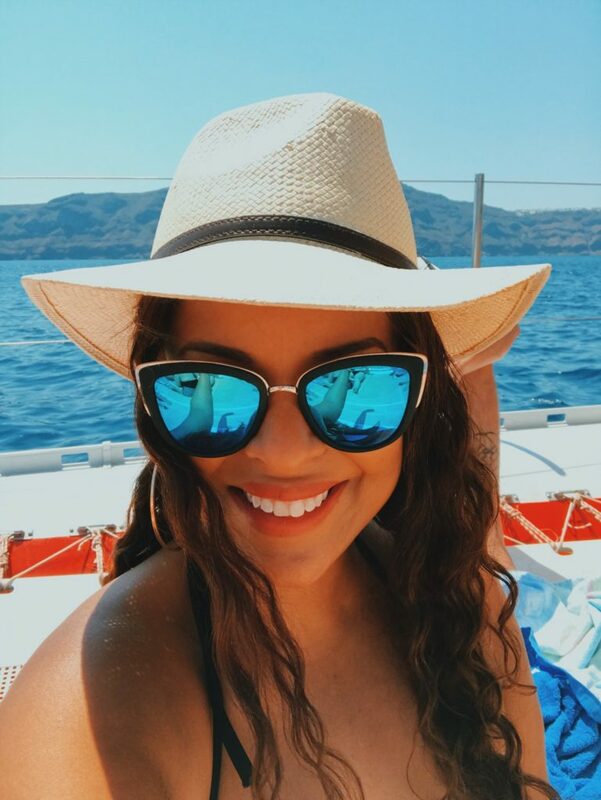 Let me know in the comments if you’re planning to go to Greece this summer! It looks great, we have been in Mykonos and it is amazing place! It is! I absolutely loved it! You will absolutely LOVE Mykonos! Thank you for reading! Great pictures! Quads and ATV are the coolest things to ride along, sadly now it requires the international permit, nevertheless, Mykonos is just too good to miss out. I know that is a pain but I guess they want to ensure that people have valid licenses. Mykkonos looks like absolute paradise! I wouldn’t mind one of those drinks on the beach too! Oh man those drinks are soooooo delicious! Thanks for reading Jessica! I would love to visit a Greek island, Mykonos looks gorgeous! Loved it! I did a lot of these things when I visited too. Need to go back! Hey Lindsay! Thanks for reading! I feel the same way I would love to go back to and visit more islands! Little Venice seems lovely in the evening time. Renting an ATV sounds so much fun. Do they charge on hourly basis? Skandinavian Bar seems like a lively bar to me. I would love to eat and drink and dance till 3. Mykonos is just beautiful. Thanks for sharing. Hey! I believe they charged by the day if I recall correctly. I rented it for 24 hours which was nice because I used it to get around the island. Not only is it a fun ride but it’s a form a transportation! Thank you for reading! Unbelivable. Everything is so white and bright, I would just walk around the city and go to tiny restaurants and shops. That’s that’s the place I would love to get with my camera. Mykonos is the most picturesque place! I think you and your camera will love it! Loving the adventurous activity of renting ATVs and what a sunset view! Complete blissful.. Mykonos seems worth to visit and explore. Hi Nafisa! 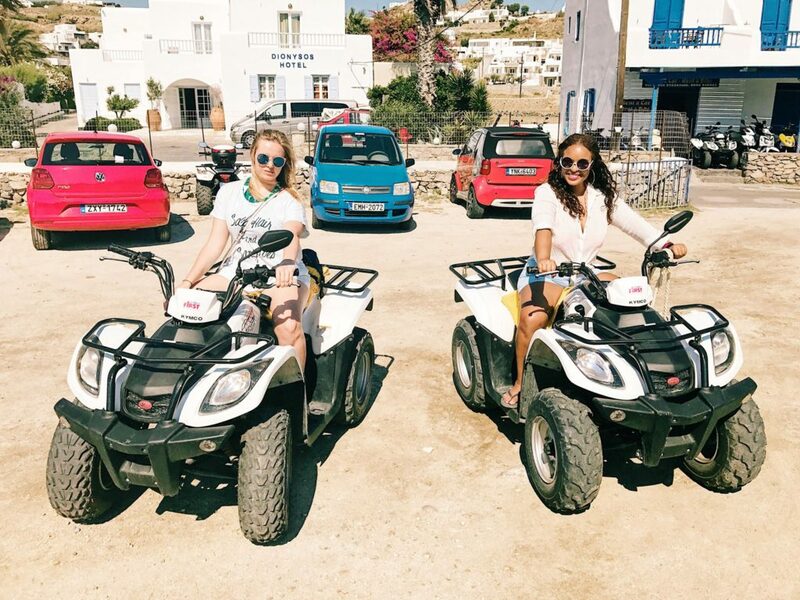 Riding around the ATVs was one of my favorite things to do in Mykonos! So fun and adventurous like you said! It’s great that you recommend the sunsets, I would never be able to get up early enough to see the sunshine. It seems that there are a tons of thing to do in Mykonos. Thanks for sharing! haha I can definitely relate. I can never wake up early enough to catch a sunrise! Thanks for reading! Greece has been in my wish list since long. Im visiting them soon now after reading the article. Awesome to hear Hitasha! You will love Greece! Thanks for reading! Oh em gee! This looks like a funner Santorini! I thought the name sounded funny, but your pictures have stolen my heart and Mykonos has earned a place on my travel list! Hey girl! You are spot on! Mykonos is like the younger, cooler version of Santorini. It’s such a beautiful island! I so want to go to Mykonos! Planning Greece for next Spring! Great guide girl! Andrea I know you will LOVE Greece! You have to go next year! I am writing a travel guide on Santorini- stay tuned! Ughhh – Mykonos looks so dreamy!!! That sunset is gorgeous. Mykonos has the most amazing sunsets I have ever seen! Mykonos is gorgeous! I love the magic the pinkish-orange glow imparts to the landscape. That was in Mykonos town and one of the prettiest sunsets I’ve seen! I literally fell in love in Mykonos, well at least for a few days! This really takes me back. So easy to fall in love! I would love to go back as well. Wow I was so charmed by Santorini that I had no Mykonos was this gorgeous. The sunset there is amazing, and trully worth pulling over for 😀 Btw I before I looked the picture, I thought I ATV is a bigger truck like vehicle but that one is so cute and I’m sure that I’ll hire it too. Thanks for the update on international driving license tip as well. Hi Shivani! I’m so glad you enjoyed my post! They have different sizes for the ATV’s but the one we got during my trip were the most popular ones. It’s literally so fun to drive around the island! I think it would still be worth getting even having to go through the process of getting an international license. Your photos are dreamy! I didn’t make it to Mykonos on my recent trip to Greece but one day I’ll go, and I’ll def check out Scorpios! Hey Selam! Thank you! Mykonos definitely has to be on the top of your list for a return trip to Greece! haha I bet you will have the same reaction too! Just such an amazing place! This definitely fueled my wanderlust! Riding ATVs in Greece has been on my bucket list for awhile. 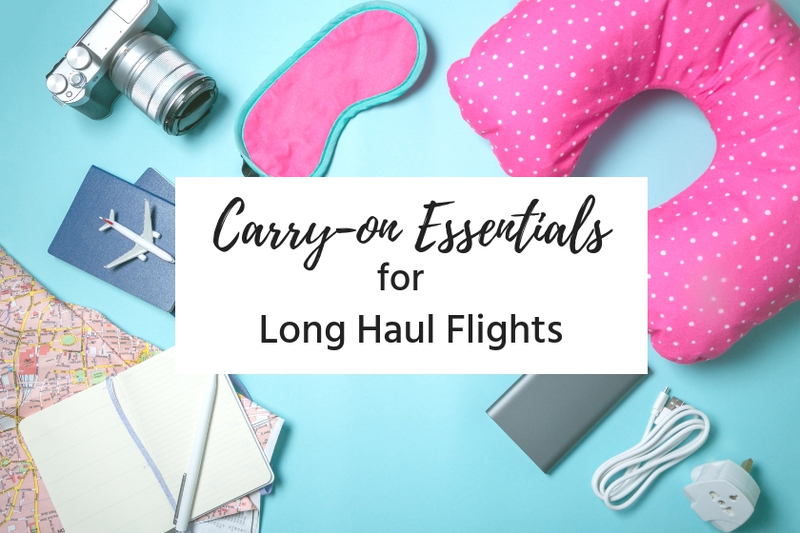 Keeping this handy when I start planning my trip for next spring! Hi Amy! Riding the ATVs in Mykonos was probably one of my favorite things to do there! You will love it! Just keep in mind that they now require you to have a international permit! Looks like a great getaway from the grey, cold and the daily grind. Scorpios of it reminds me of home in Australia (where I am right now) due to the trendy cafe scene here! The palm trees also closely resemble the ones I am blessed to see in my home, too! What was your highlight, the beach hopping perhaps? Hey Viviane! So jealous you have places that look like Scorpios where you live. I can’t really say there is anything like that here in NYC. I am such a beach person, so yes I’d say that beach hopping but also the exploring on the ATV’s was the highlight of my trip! Mykonos is such a beautiful place! 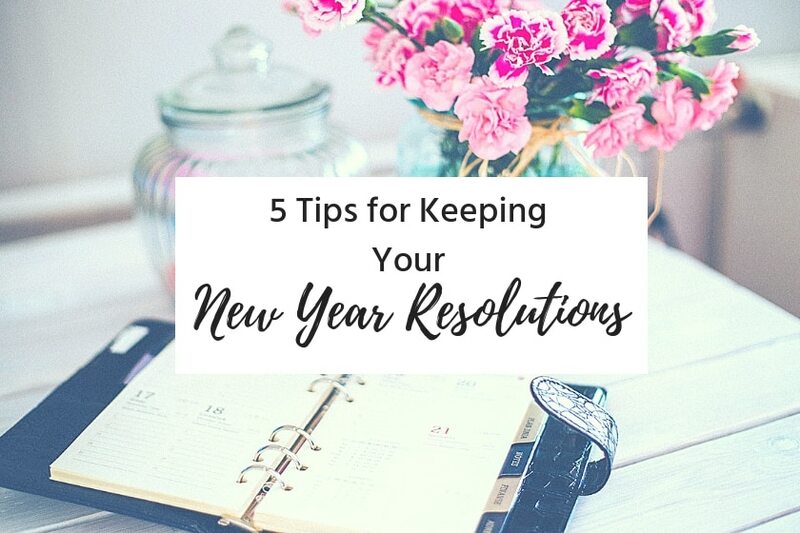 My co-blogger was there before but I will definitely be using these tips when I get to visit myself! Hey Amanda! You will definitely love it as much as I did. Let me know if you need any hotel recommendations! I hope to visit Greece when I have more time (like 10 days) as vacation because I’m sure I will have lots of things to see! Sounds like a place worthwhile a visit. Thanks for the tips.